When I was 23 I experimented with loneliness – I used to read a lot of Paul Auster at the time, and I wanted to see what would happen if I am really alone and avoid talking to other people for a while. So I rented an apartment in a small fishing village in the south of Brazil, bought a surfboard, and spent all my time doing more or less the same thing every day: got up in the morning, went surfing, came back for lunch, read my book for a while, went surfing again, went back for dinner, read some more and went to bed. The only guy I was in touch with at the time was the grocery store guy, where I bought all my food, and our conversations were pretty much concluded with “hi” and “bye”. I don’t quite remember why I thought it would be cool, but I tried it. After about a month of doing it, I realized that I won’t be a good surfer and that I also kind of like talking to people. So I sold my surfboard and continued to the closest tourist beach for a more typical south-american experience. So it was no wonder that when I finished college, the idea of being a freelance designer who sits at home in his underwear and doesn’t speak to other people all day wasn’t very appealing to me. After all, I thought, I will have my whole life to spend at home in my underwear. But lo and behold, it’s been a year since I’m working from home and I’m having a blast. 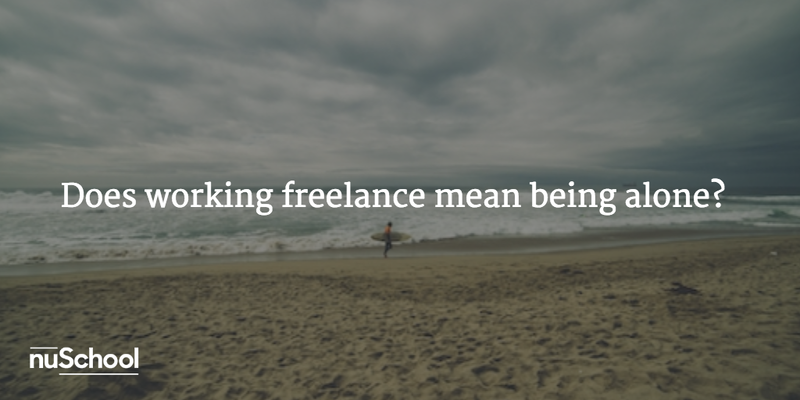 Still, I meet a lot of designers who are very afraid of switching to freelancing because of the fear of loneliness and working alone from home. So I thought I can share those things that help me design from home without being lonely. When you’re working in an office, lunch could be one of the exciting social events of the day. The difference between working in an office to being a freelancer is that in an office the circumstances dictate who you would eat lunch with (this might be nice, but not always everyone is to your liking), while as a freelancer, you’re free to choose who you feel like having lunch with and do it exclusively with people who are fun to hang out with. I eat with friends several times a week. If I don’t feel like eating out, I invite them over and cook for us. This is a wonderful opportunity to see friends I haven’t seen for a long time, to strengthen old friendships and develop new relationships. If I meet people I think I can learn from, I invite them over to lunch, people like free food and usually will say yes. Someone even wrote a book called “Never Eat Alone”, and he claims that eating with people is the way to success. I haven’t read that book yet. Last year my friend Alex told me about some time-management system that I decided to implement and I like it a lot – I avoid scheduling meetings in the mornings so I could work several hours uninterrupted. 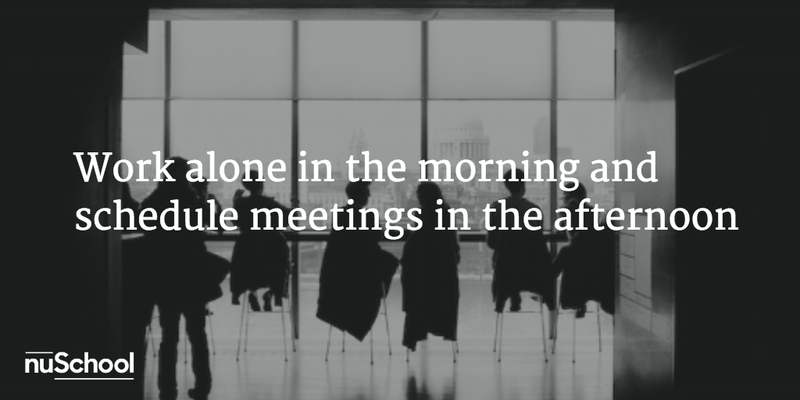 All of the management tasks – emails, phone calls, meetings, clients etc. I save for after lunch time. This way I have one half of the day dedicated to pure work alone, and half of the day dedicated to other people. This way I get to spend time with different people almost every day. Again, as with the first advice about lunch – not all meetings are business related – sometimes their meetings with friends or people who need help from me or people I want to know and learn from. Luckily, there are a lot of designer’s communities who make it possible to stay in touch with other designers, to stay updated with the world design trends or local design gossip or even be grumpy together about clients and life – exhibitions, lectures, workshops, Facebook groups and friends who are also designers. Since I don’t spend my days surrounded by designer-friends anymore, it’s very important to me to be part of those places to keep my contacts with these friends, and also to stay relevant. 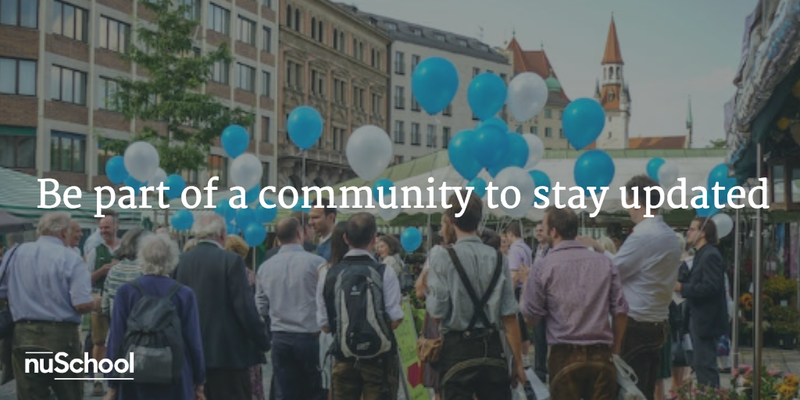 Part of the communication with these communities happen in the real world, but a lot of it is on-line: in Facebook, blogs and other websites that help me stay connected to the design world even from home. Sometimes we will need ‘one more eye’ to look at what we did. We’d like someone to bounce our ideas off and tell us if there’s anything we missed, or give us feedback about whether we are going in a right and interesting direction. 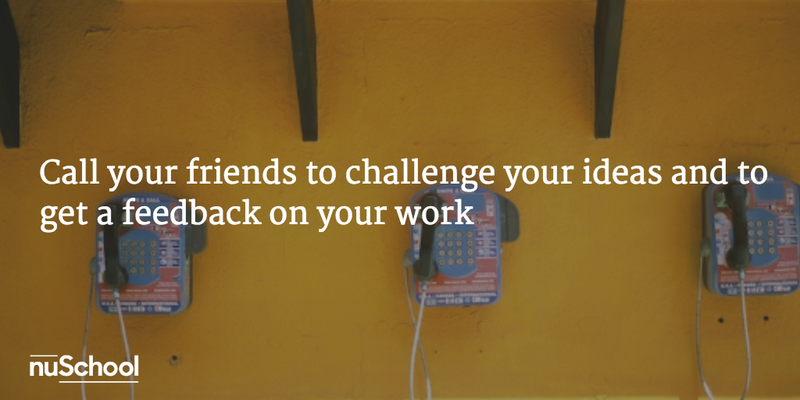 In this case, there is no replacement for a ‘phone a friend’ options. Someone we can send stuff to and get a real time, constructive, human feedback from. The truth is that I haven’t tried this option yet myself, but I visited my friend Liz in her very cool Shared space office and it looked pretty awesome. At least in Tel-Aviv, this trend of co-working spaces are very apparent and more people stop working from home or from coffee places and more to joint working spaces who are designed and equipped especially for work. 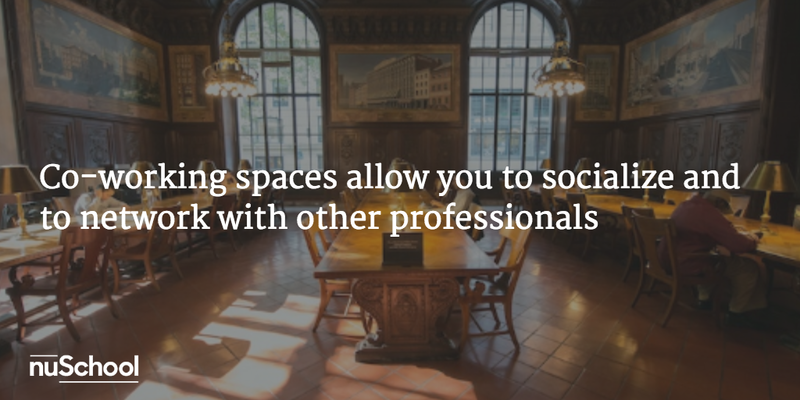 Aside from these official co-working-spaces, many designers I know just rent some big studio and split the costs between them to just sit together in a one space with other people who are fun to hang with, eat with, and consult with. 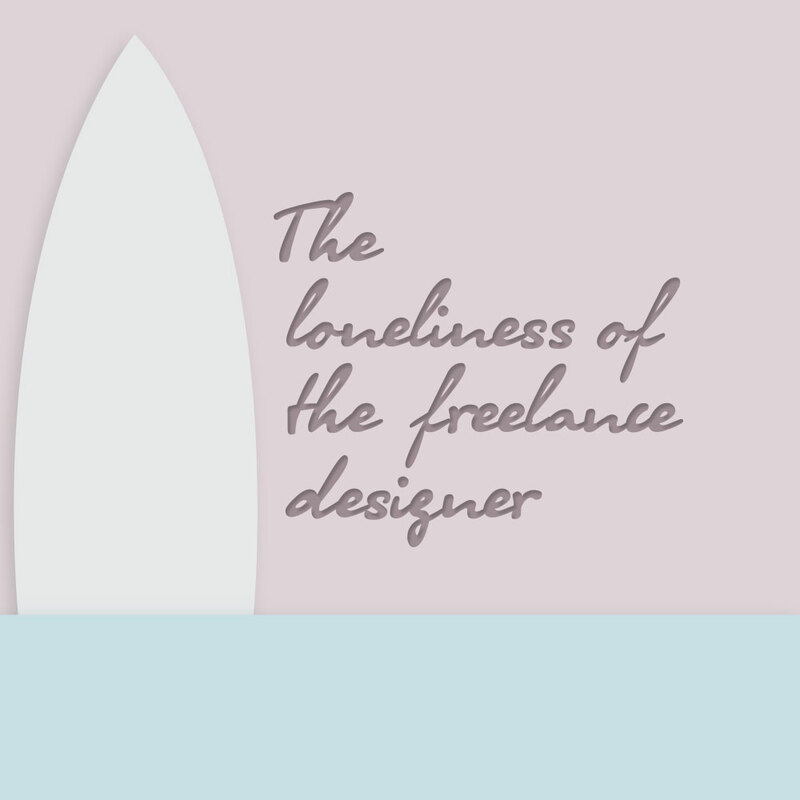 What is certain is that to be a freelancer, you don’t have to work from home, but also that working from home does not condemn you to a life of loneliness and solitude away from other people and the designers community. P.S – I still don’t sit at home in my underwear, I mean, I do wear underwear, but it’s underneath the rest of my clothes. Honestly, I don’t even walk barefoot at home, I wear shoes. It helps me stay serious about what I’m doing.